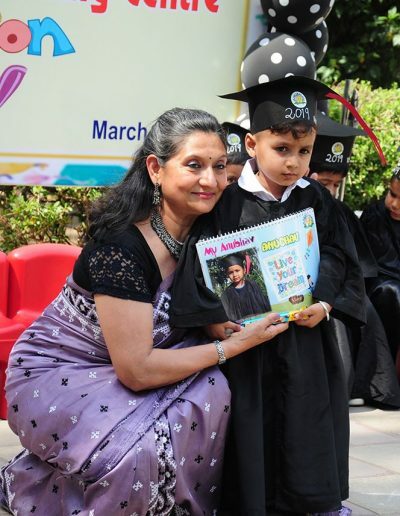 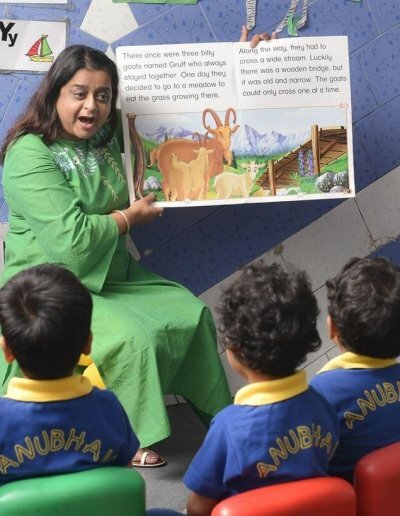 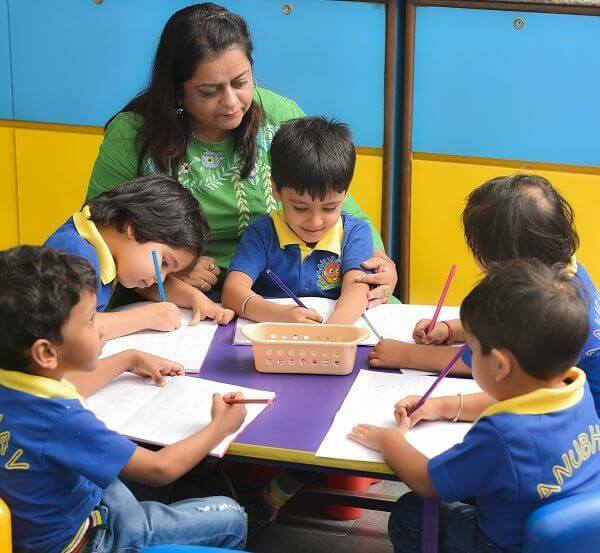 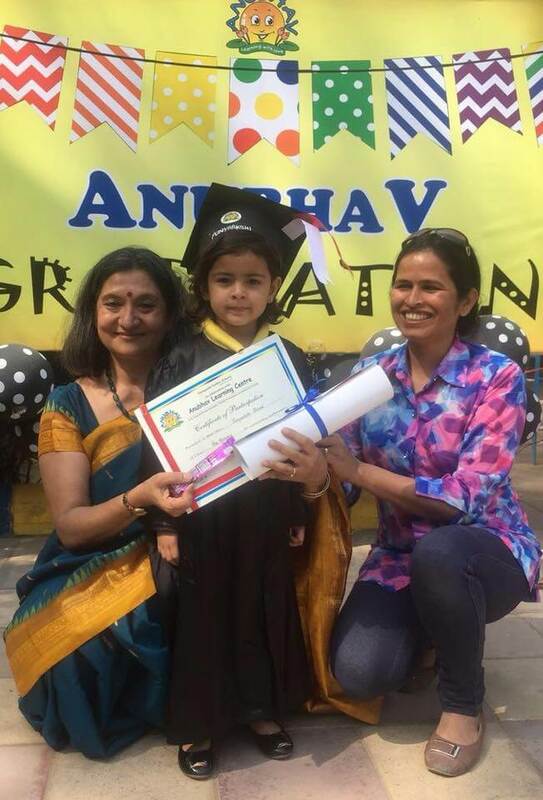 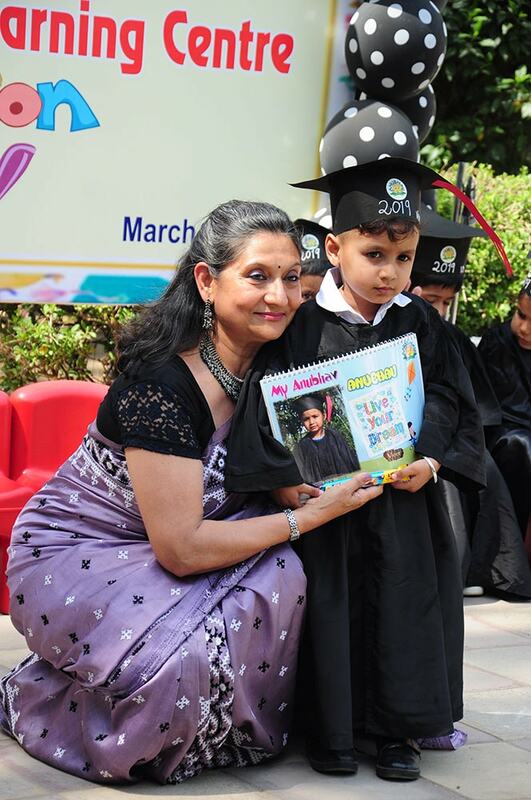 Anubhav Pre School lays the foundation for formal education and character building. 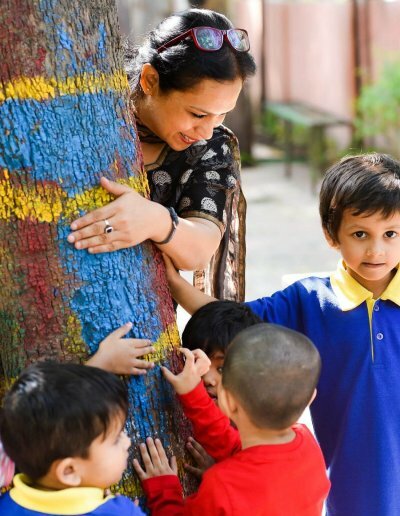 It does the invisible work of nurturing the roots with an aim to foster well rounded HAPPY individuals. 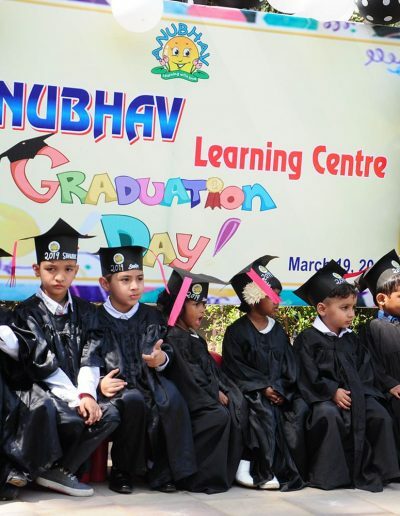 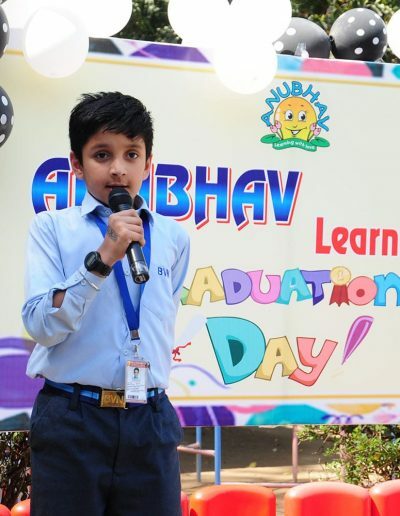 Alumni of Anubhav Pre School, many of whom are in high school, have validated the strong foundation laid at Anubhav. 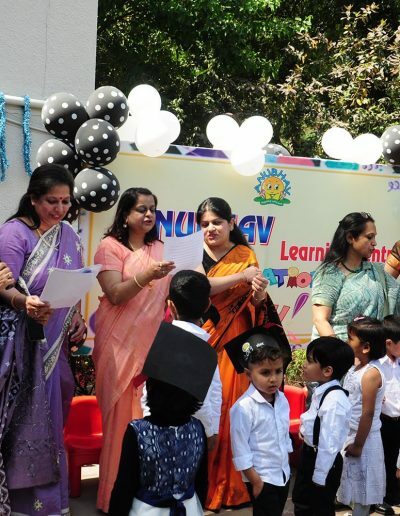 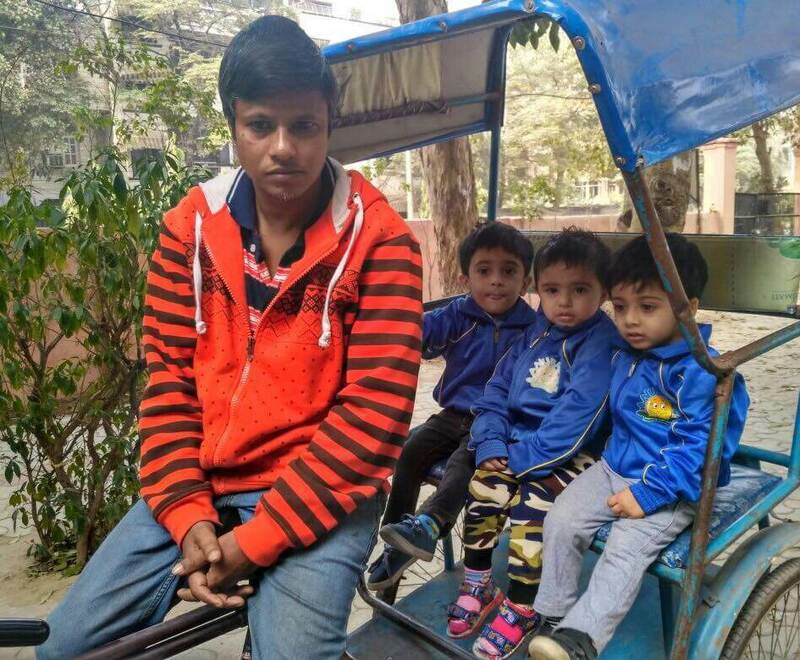 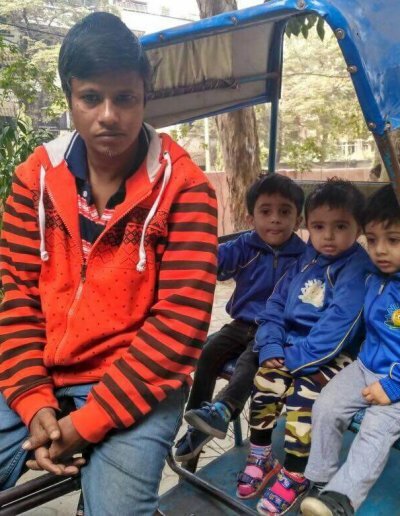 They are doing very well academically and have blossomed in their own unique ways gaining the respect and trust of their respective schools. 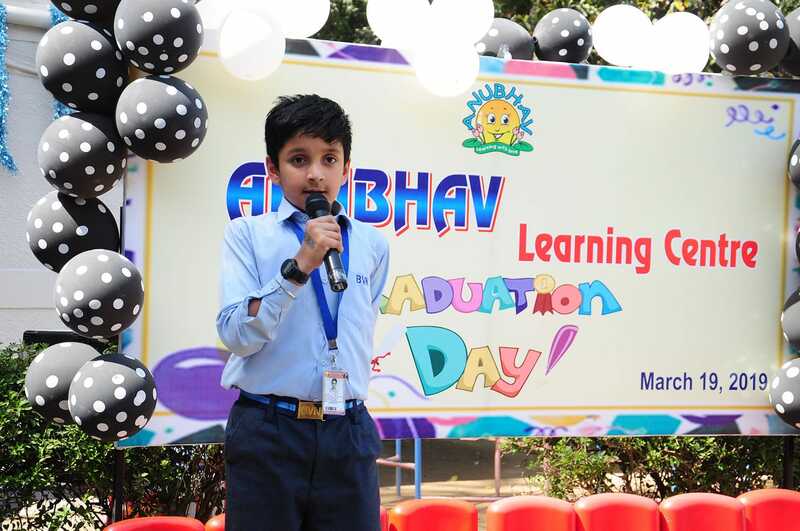 Anubhav Learning Centre has set a tradition of raising happy, self reliant, well adjusting, eloquent, considerate and respectful children. 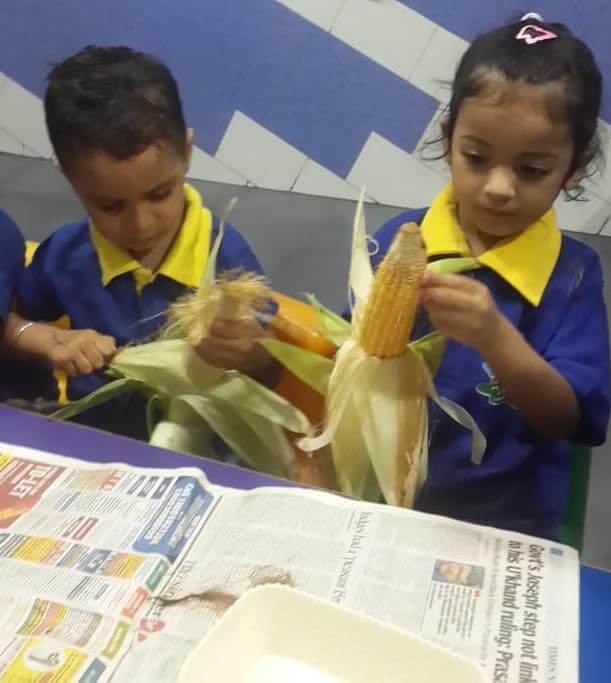 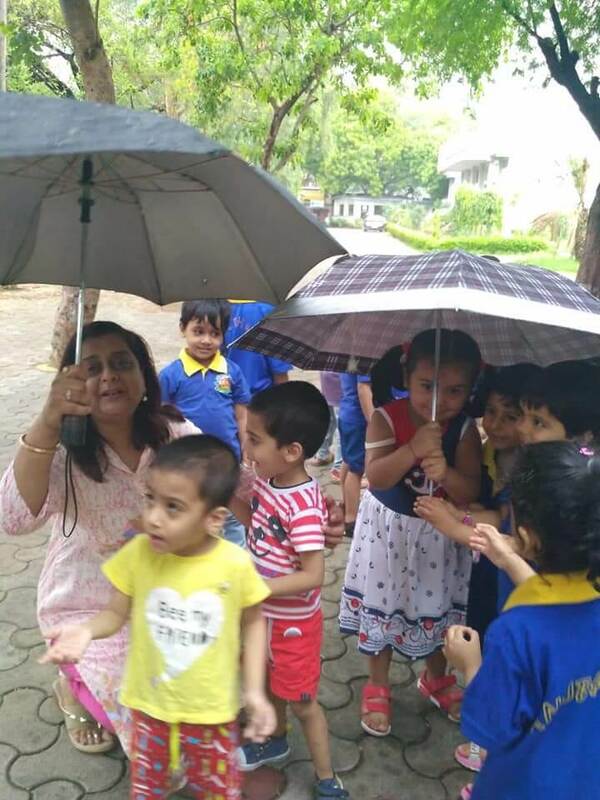 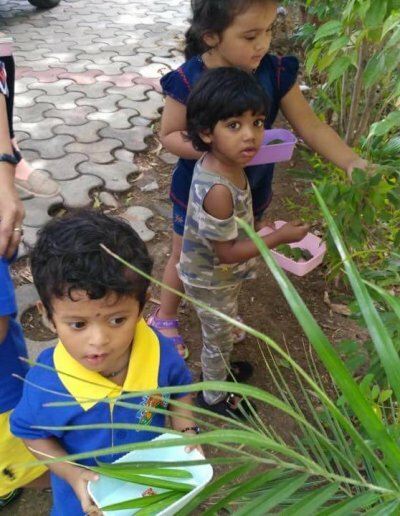 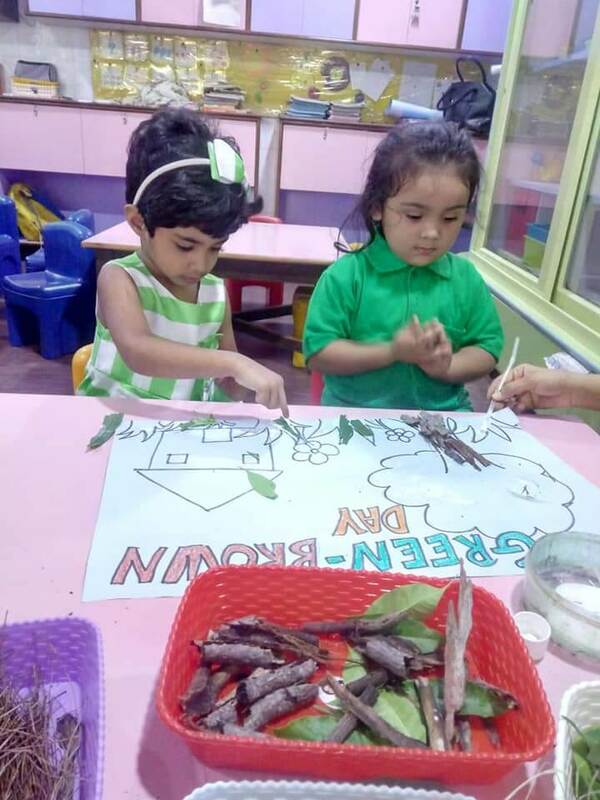 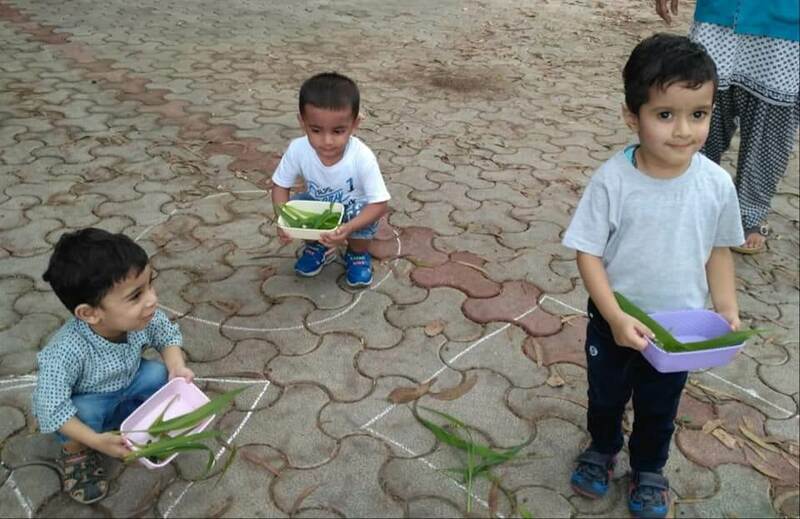 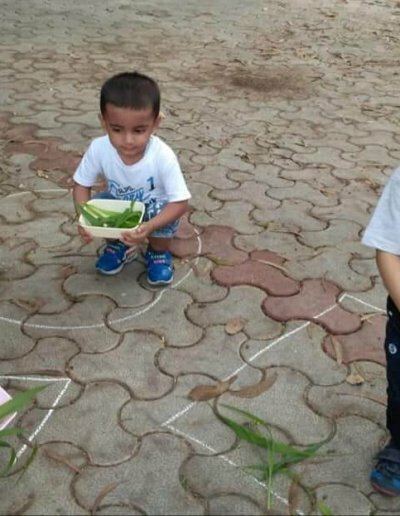 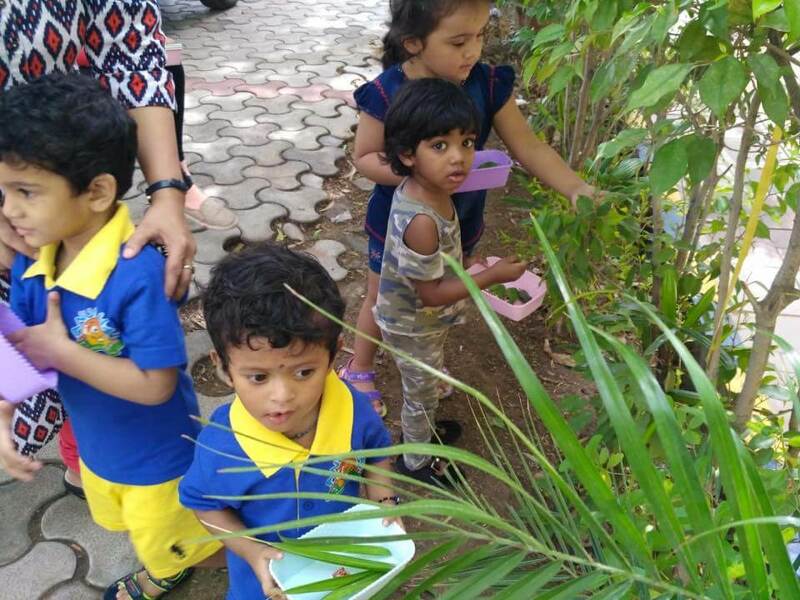 Anubhav Pre School’s curriculum CATERS TO CHILDREN’S INQUISITIVENESS AND ALLOWS THEM TO OBSERVE, EXPLORE AND LEARN FROM THEIR ENVIRONMENT. 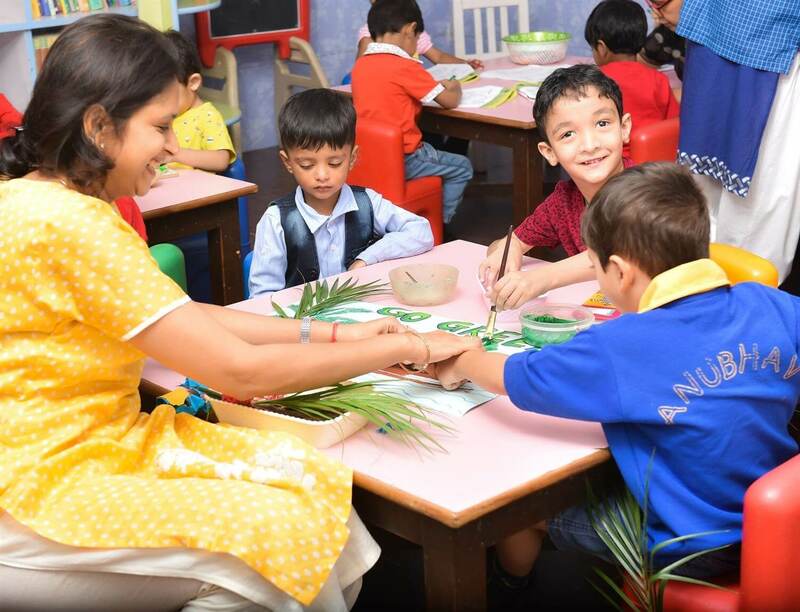 The curriculum is well-researched, thoroughly experimented, ever evolving and is a perfect blend of all the developmental parameters. 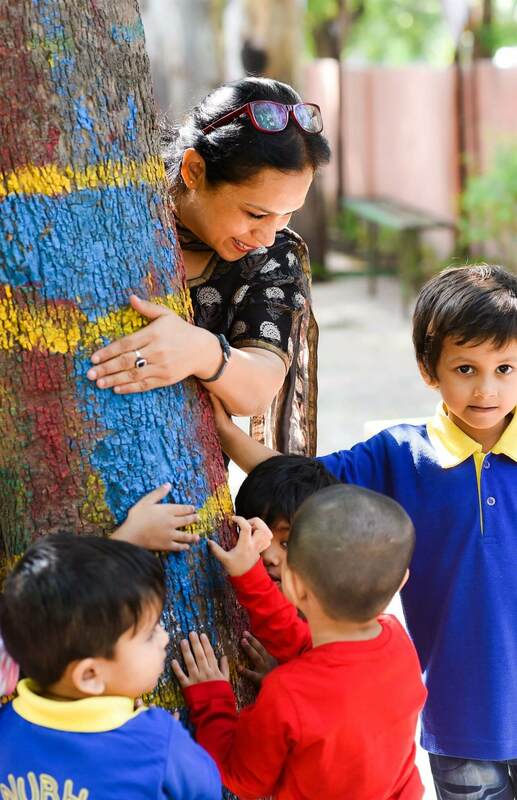 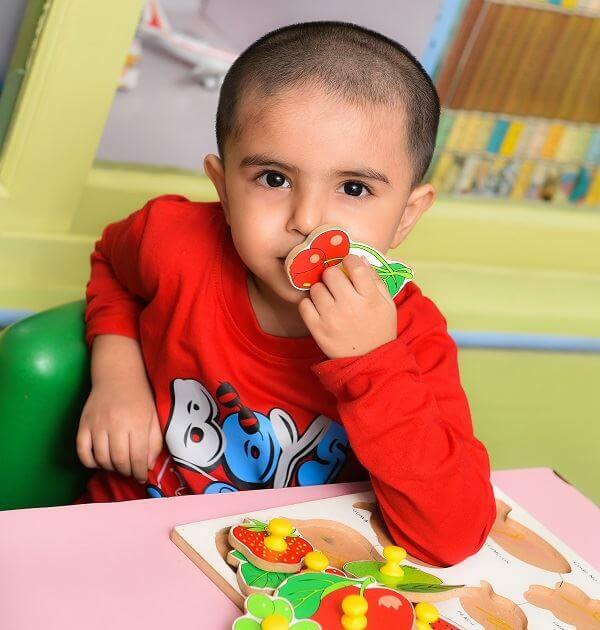 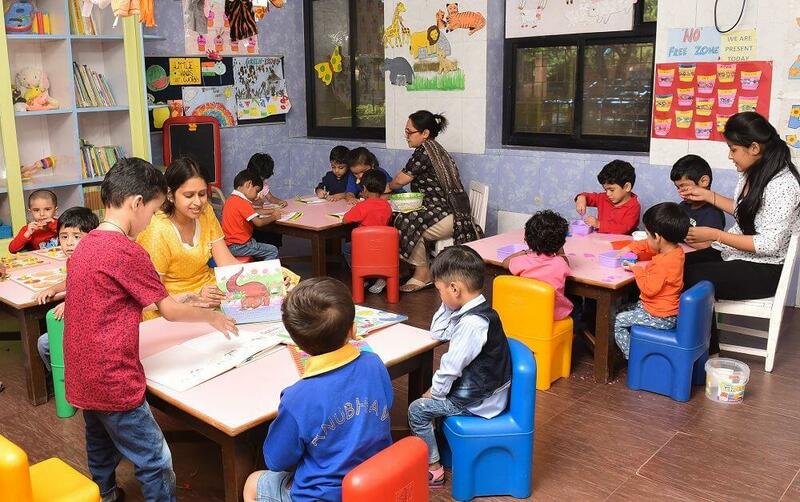 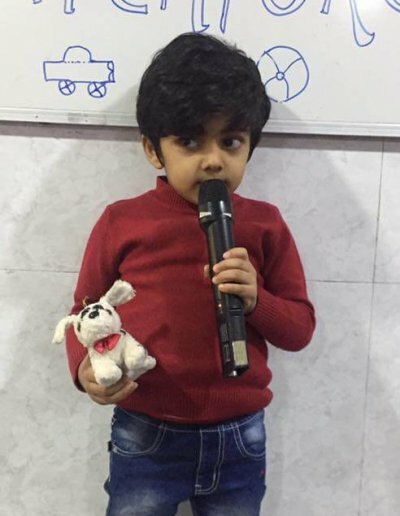 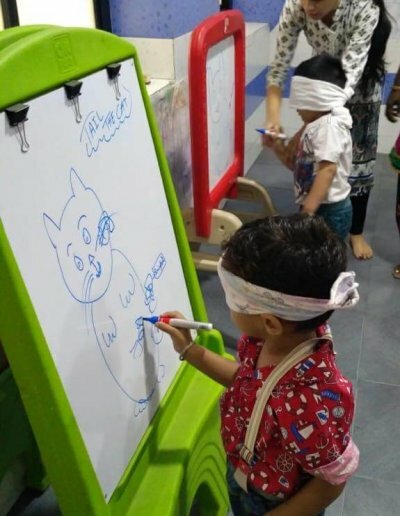 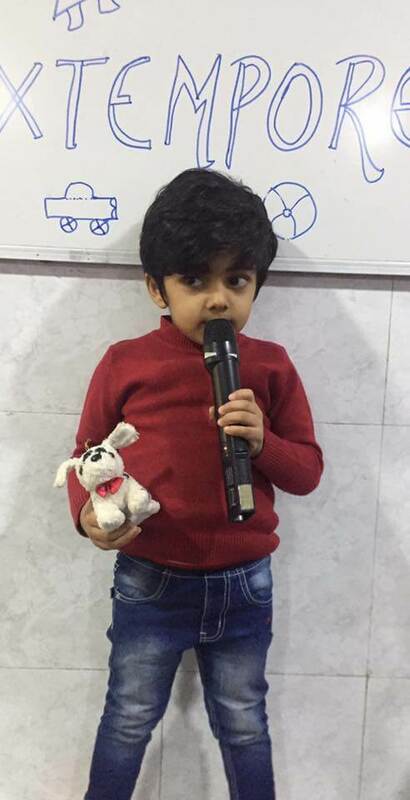 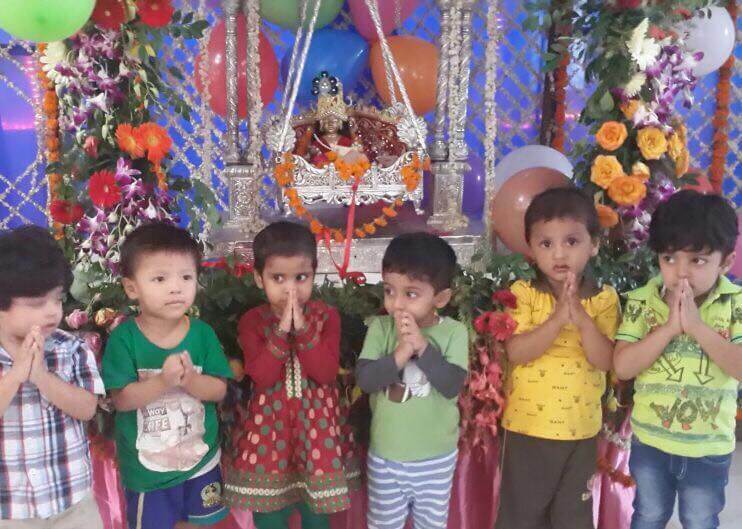 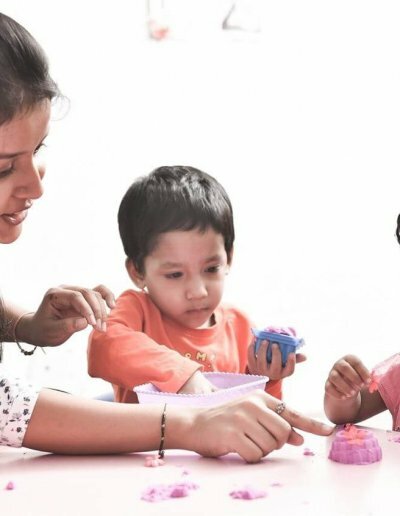 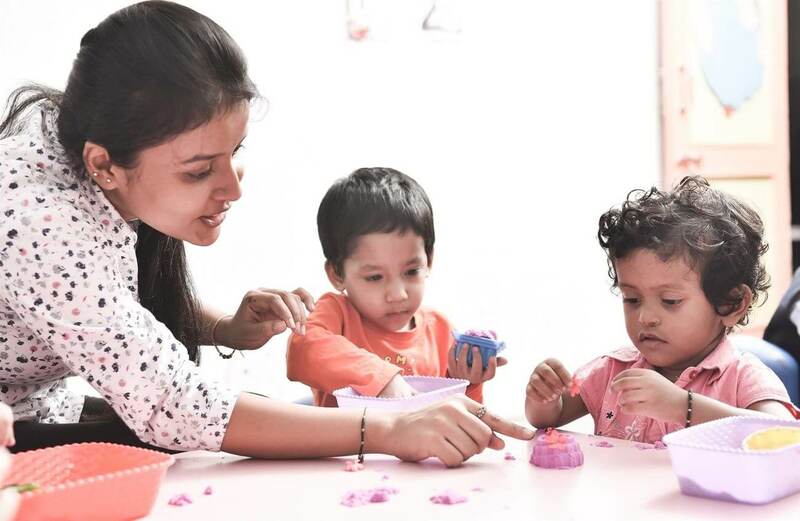 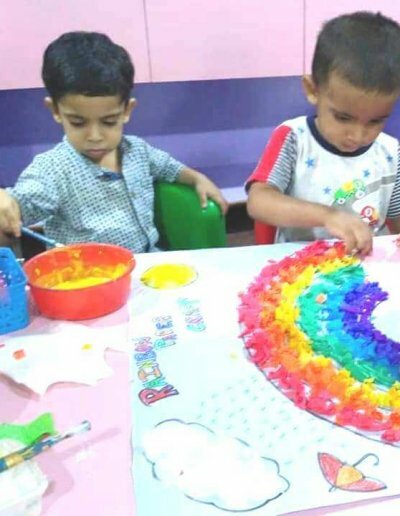 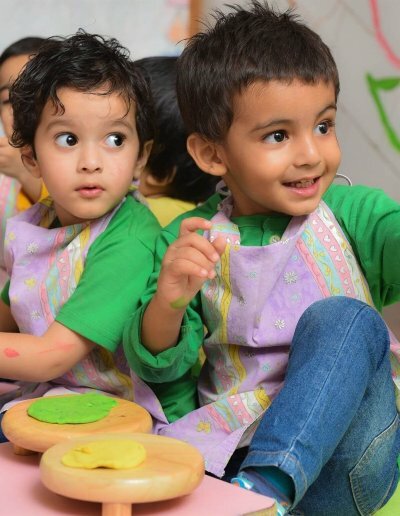 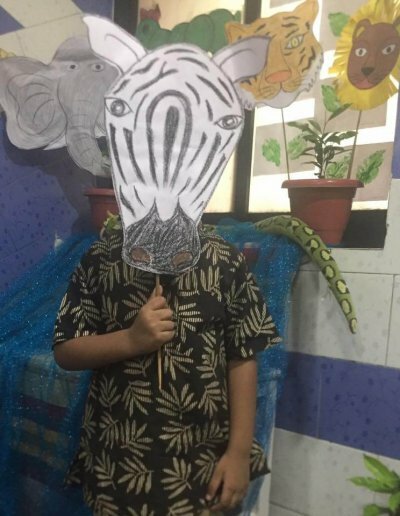 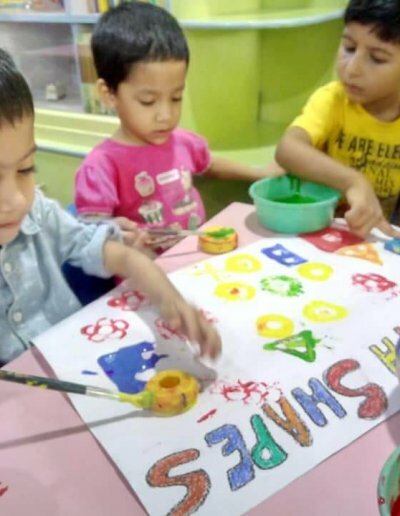 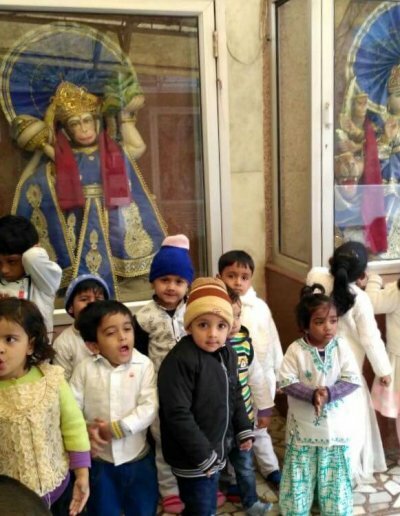 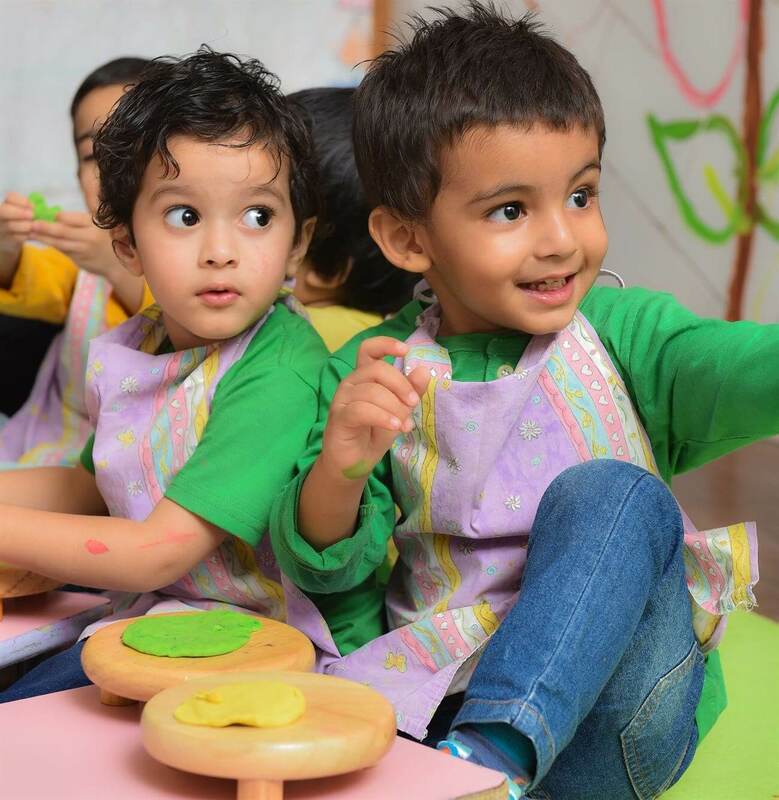 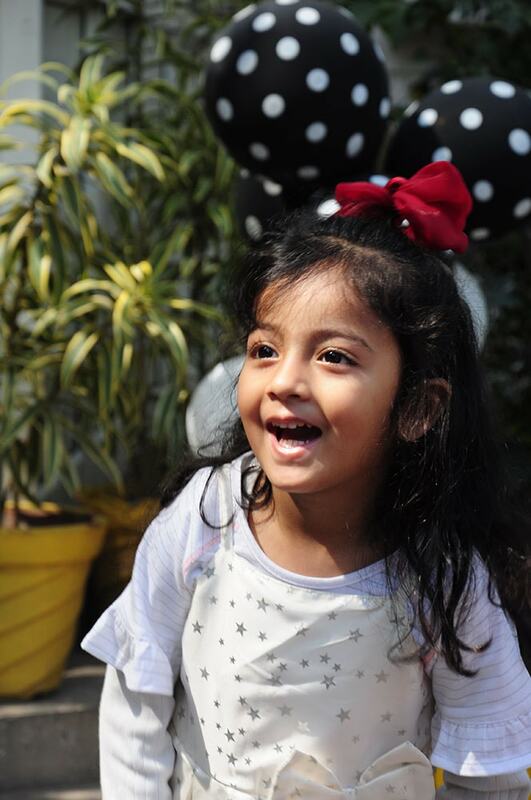 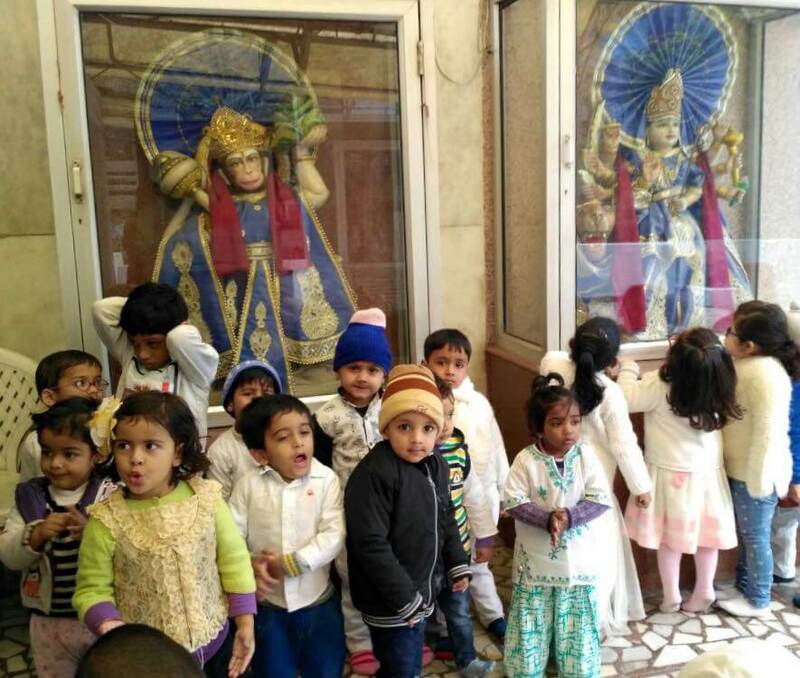 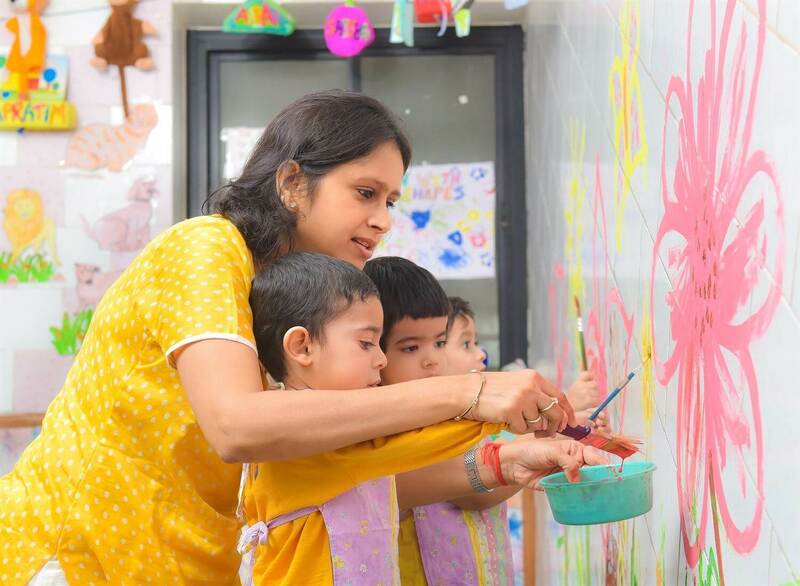 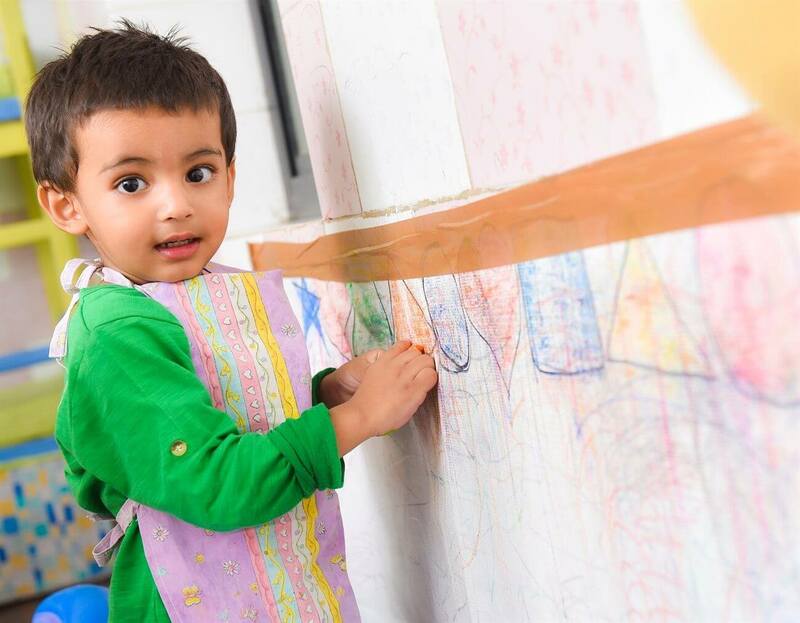 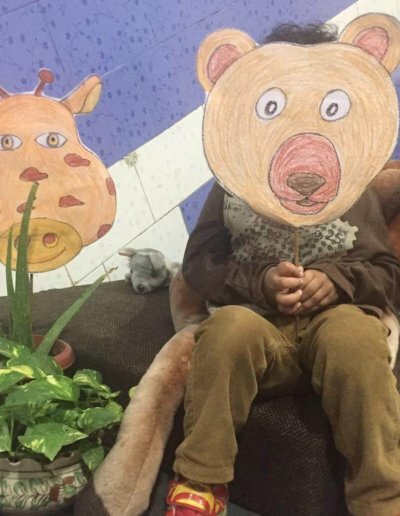 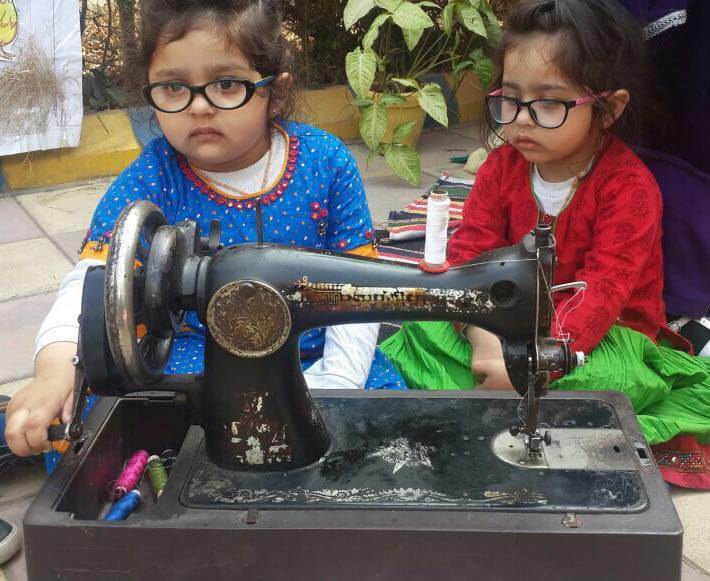 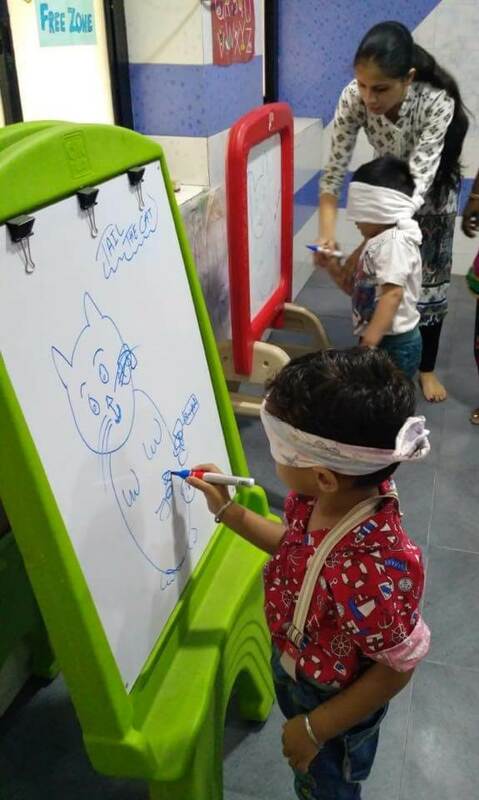 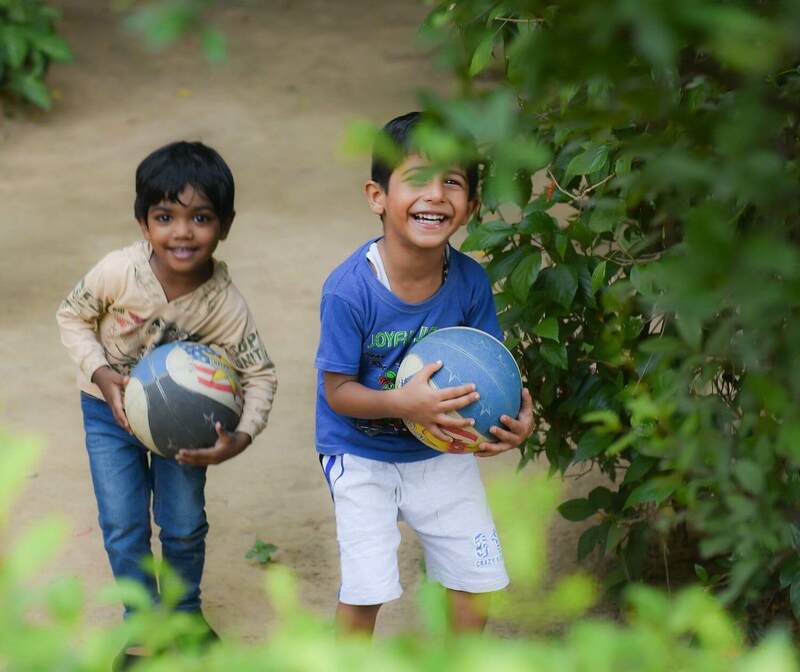 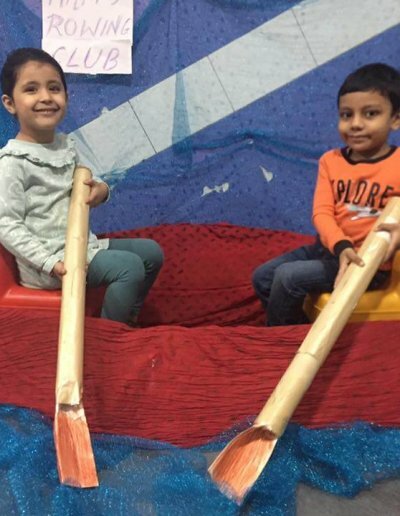 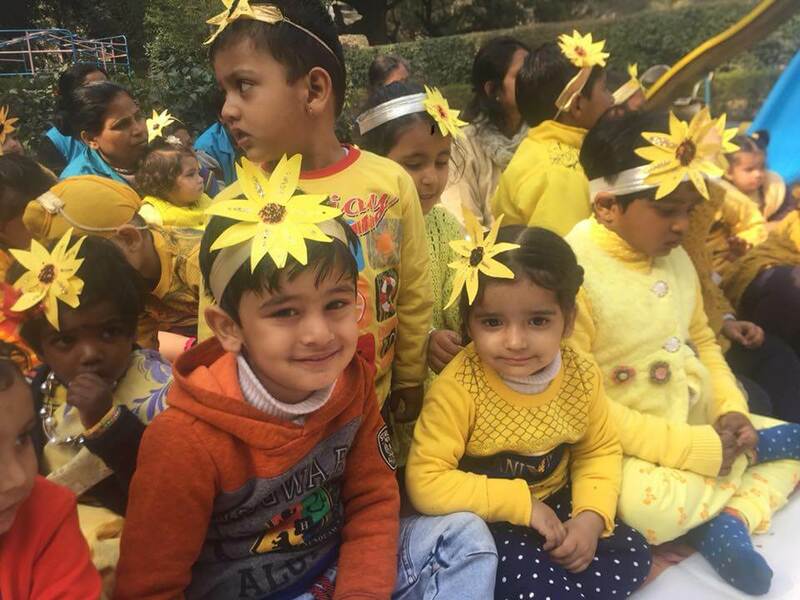 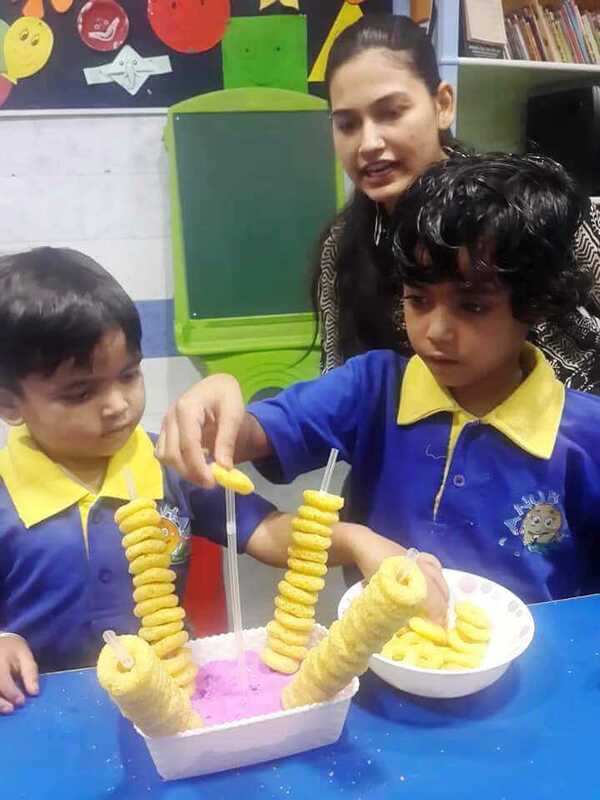 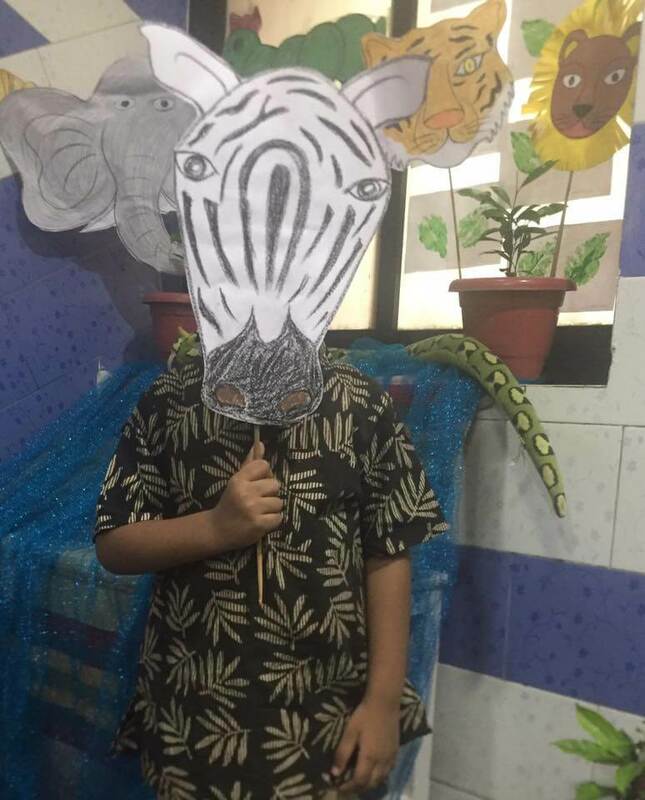 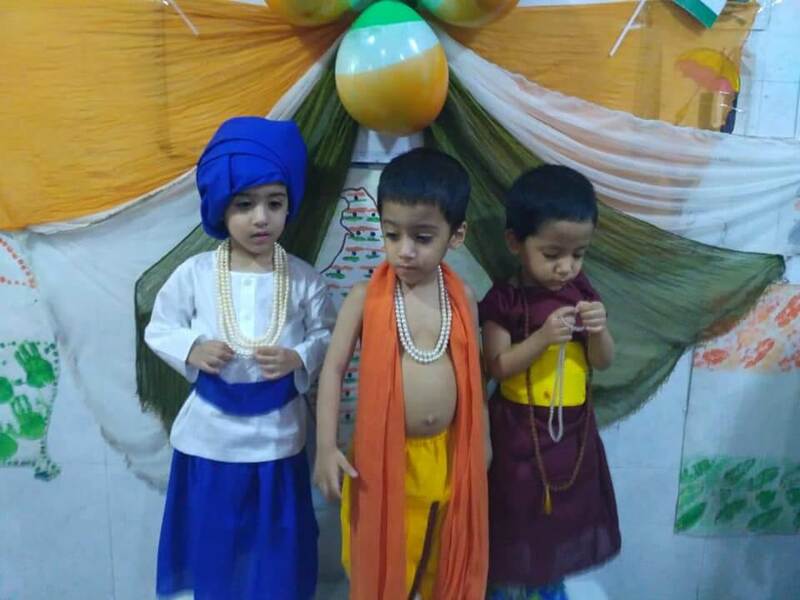 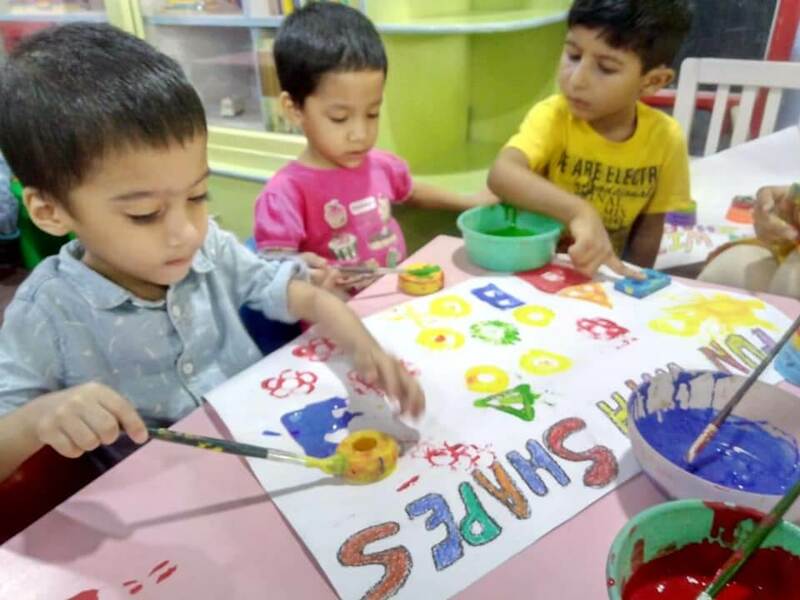 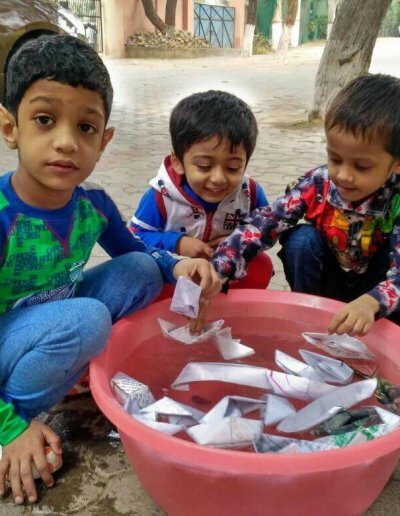 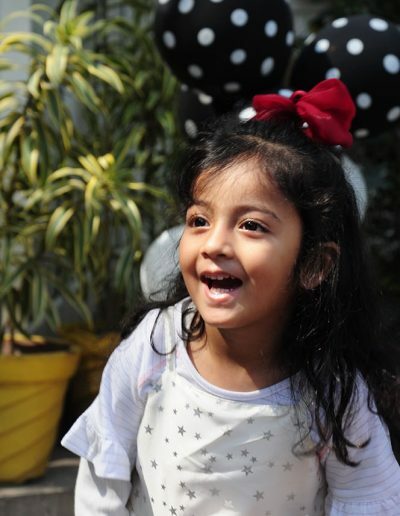 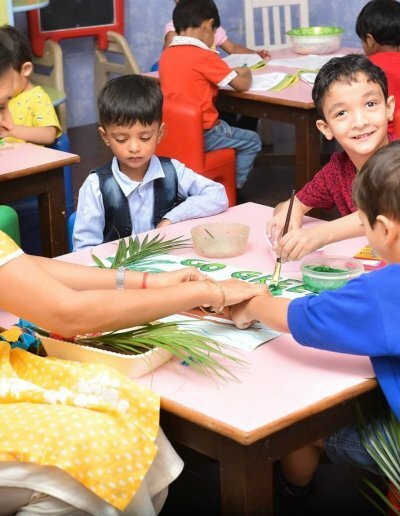 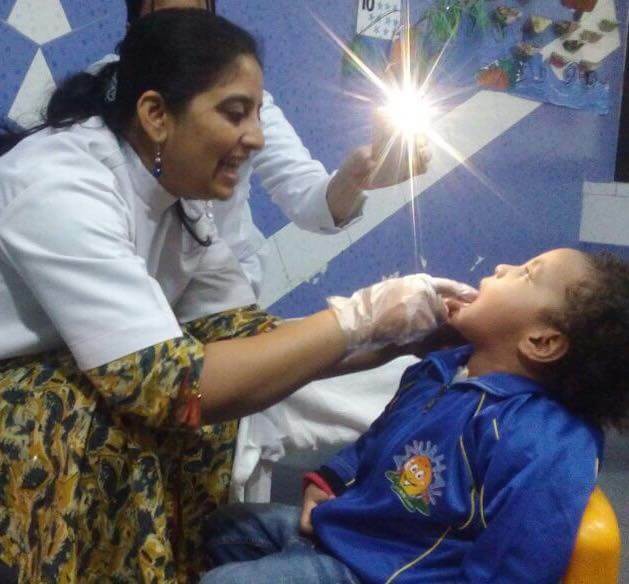 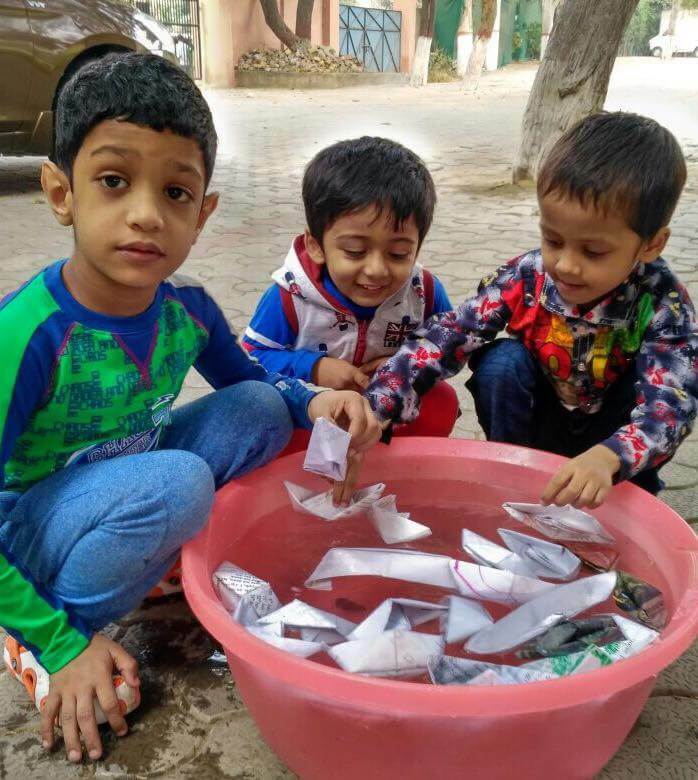 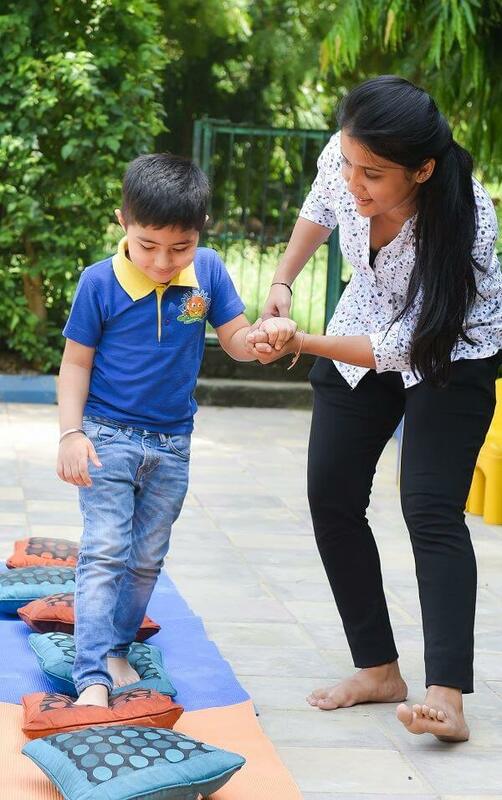 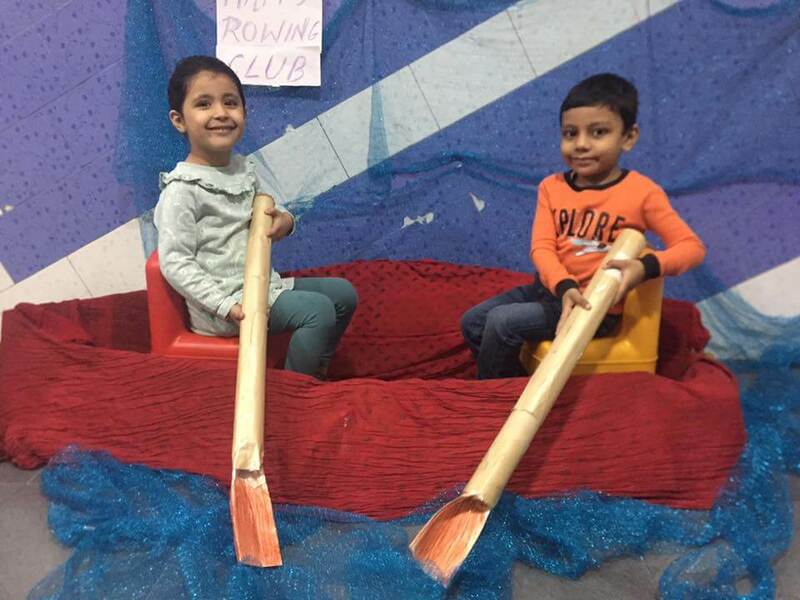 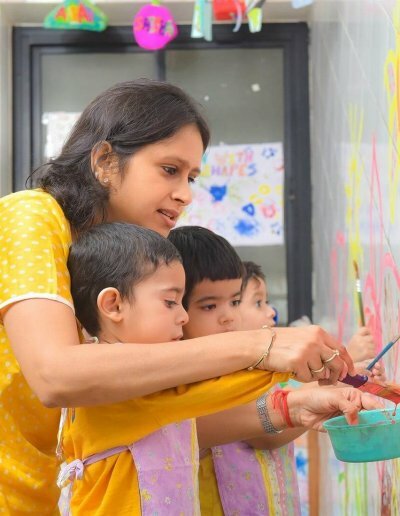 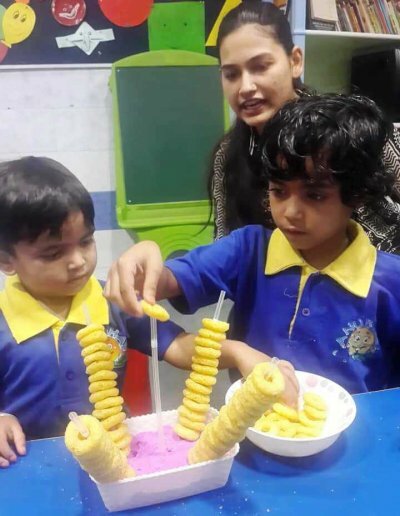 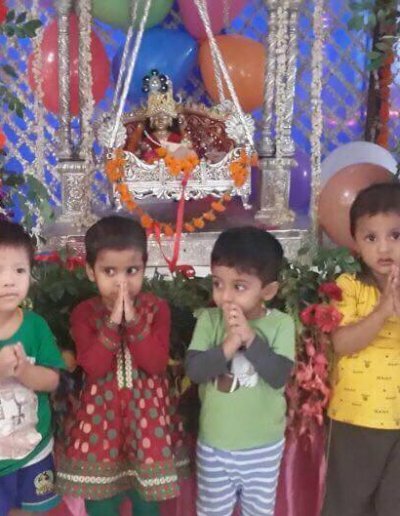 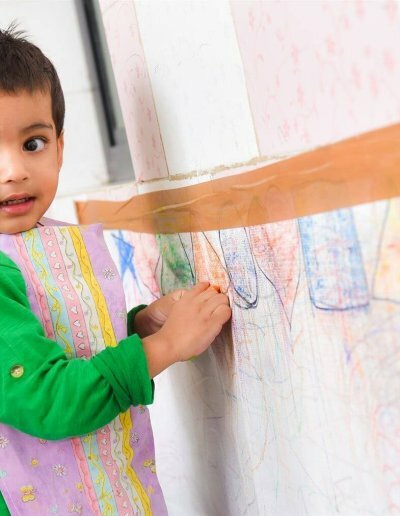 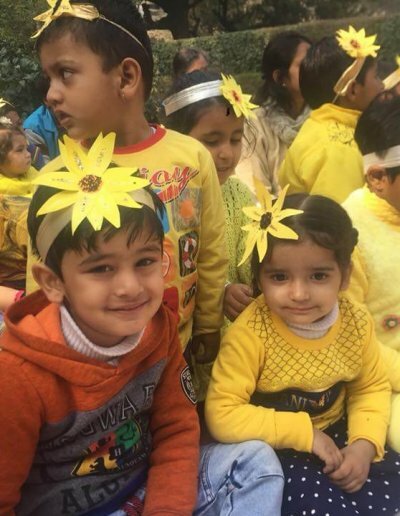 It is in fact one of the most HUMANISTIC Playschools in South Delhi and the best Playschool in Greater Kailash, South Delhi. 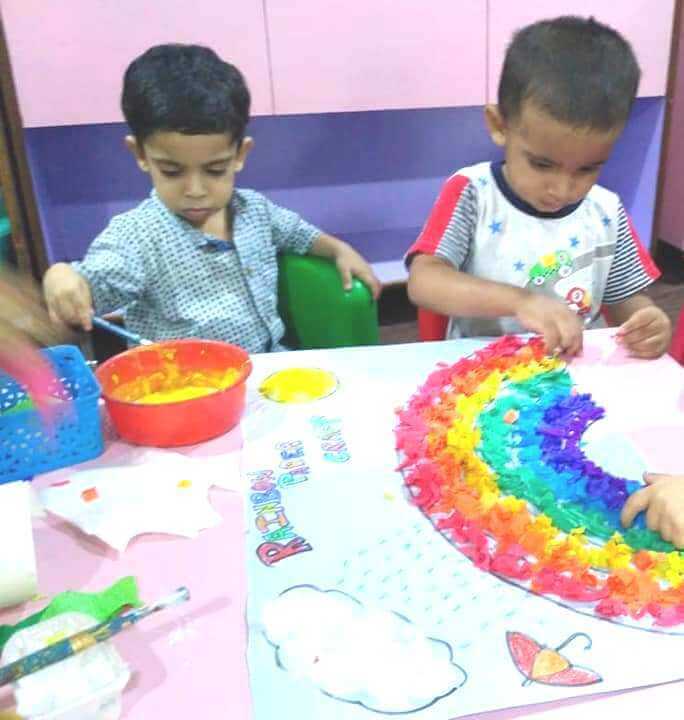 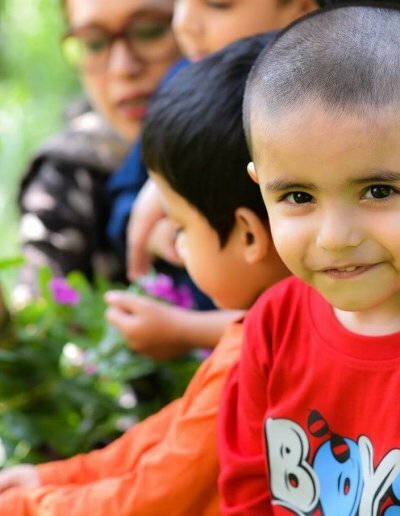 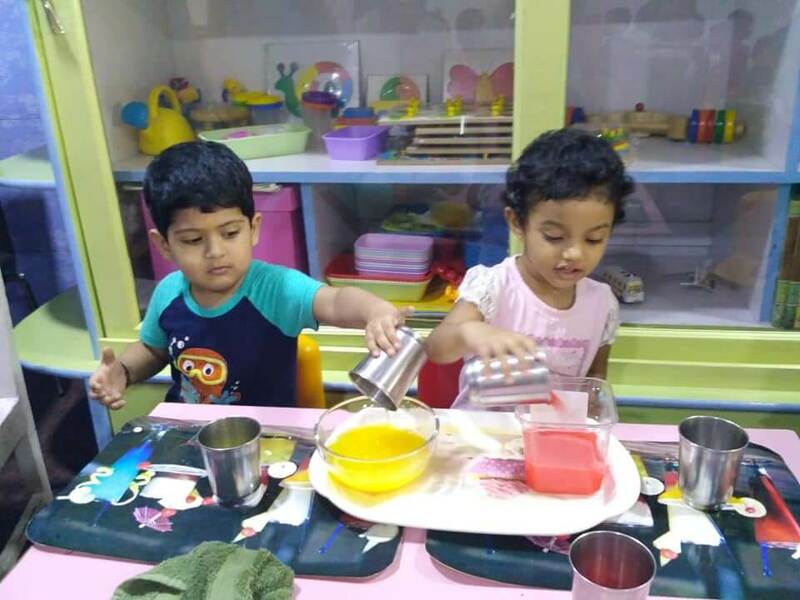 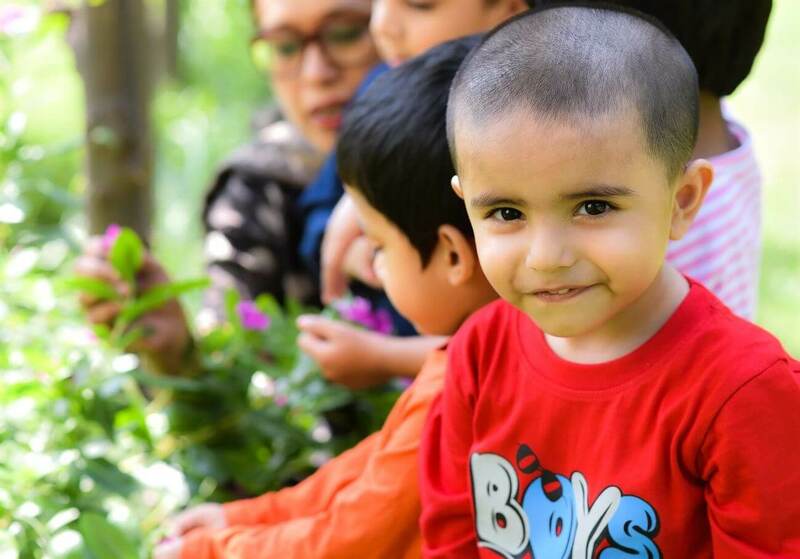 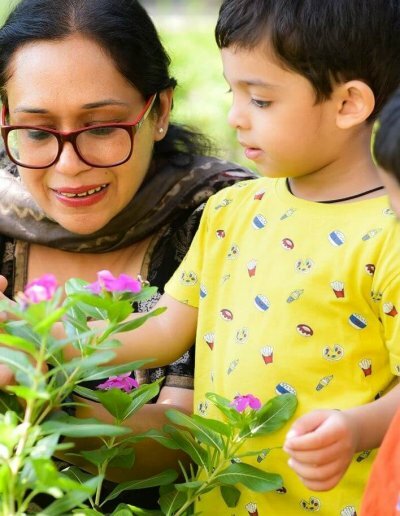 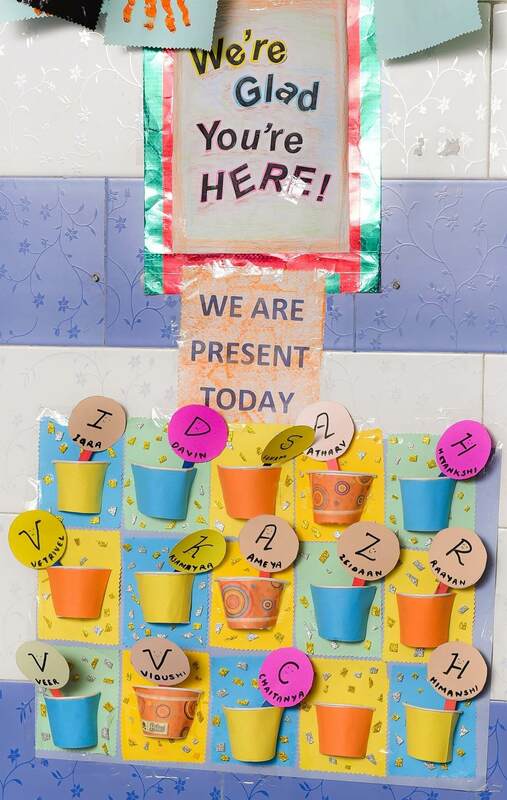 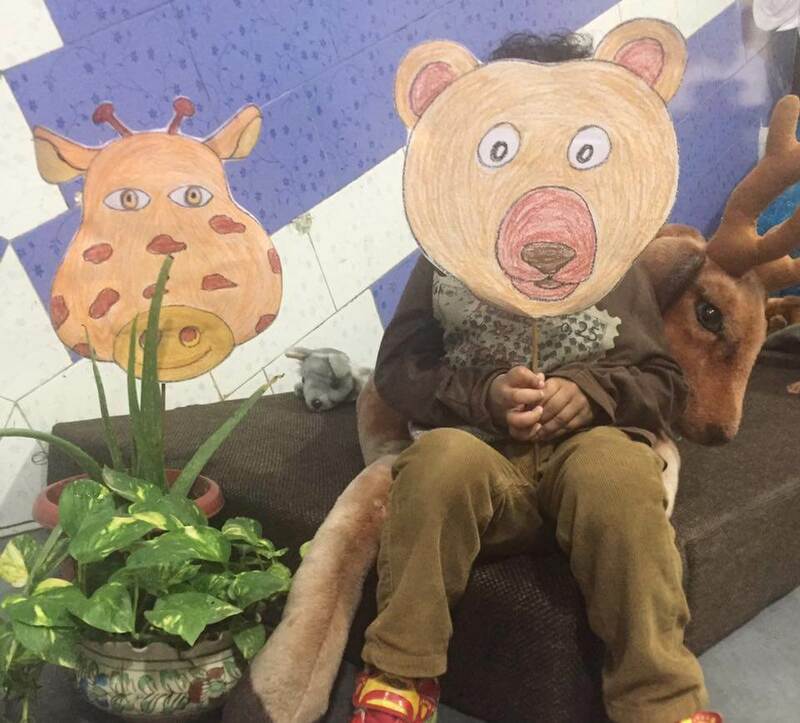 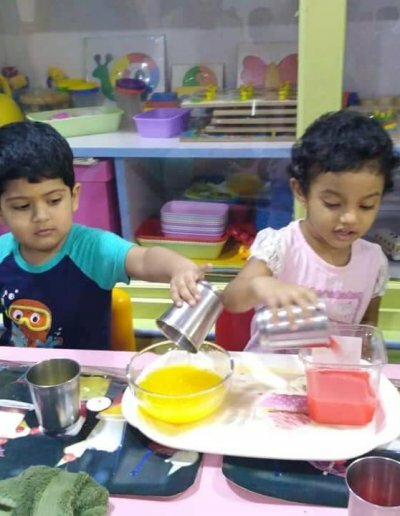 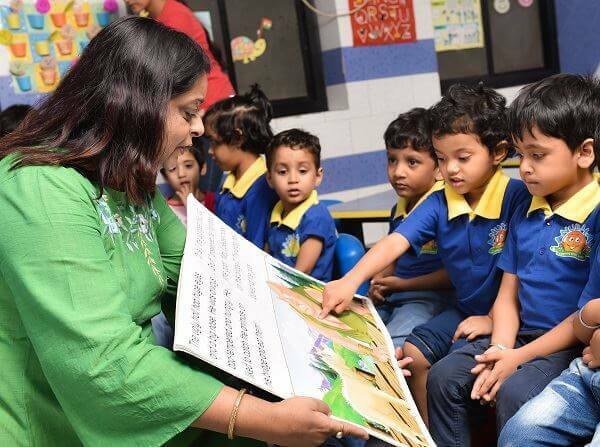 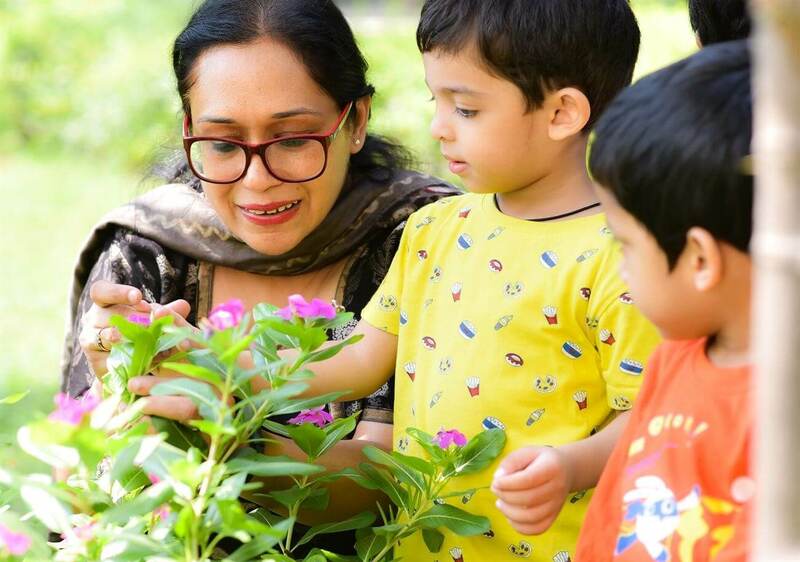 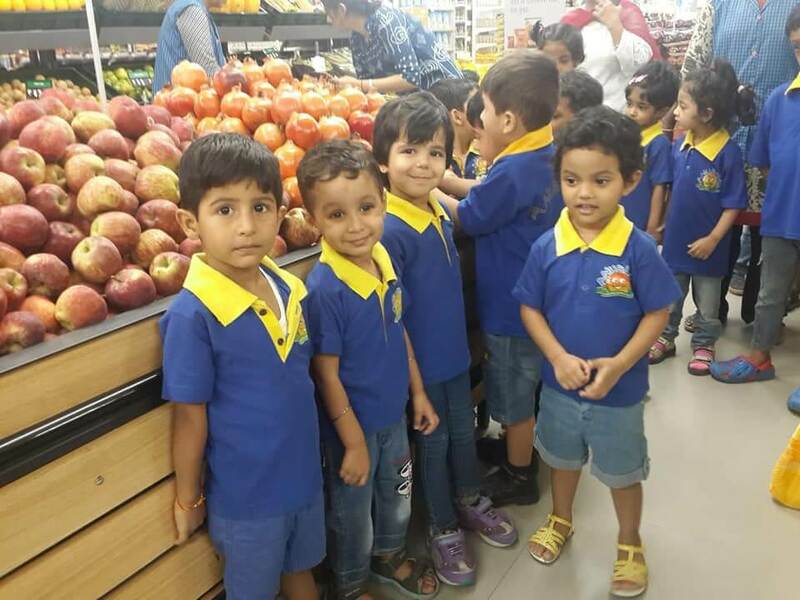 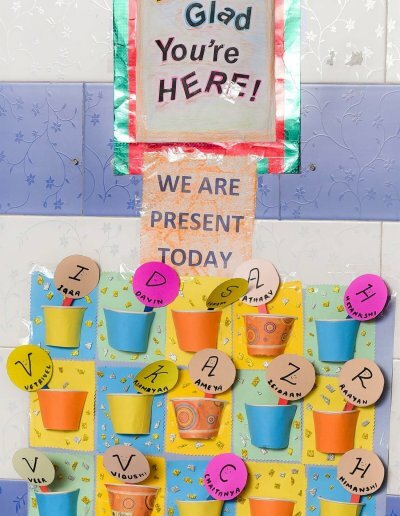 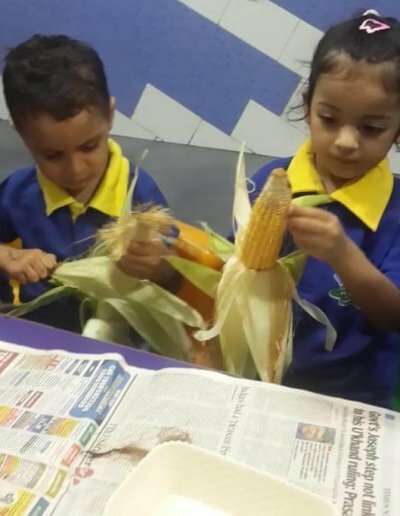 The curriculum is designed to facilitate physical development (gross and fine motor skills), social development (etiquette, sharing, caring, team work etc), speech and language development, cognitive development, and aesthetic development. 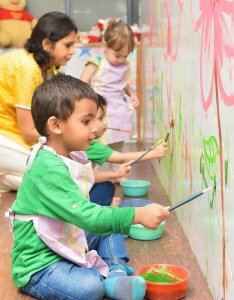 It also ensures experiential learning and the process is enhanced with regular outings, monthly celeberations and weekly special activities. 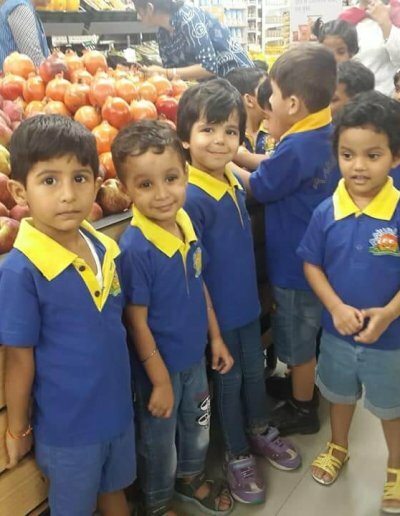 Outings include visits to the super market, police station, fire station, post office, hospital, cobbler, florist, tailor, parks, all religious places, etc. 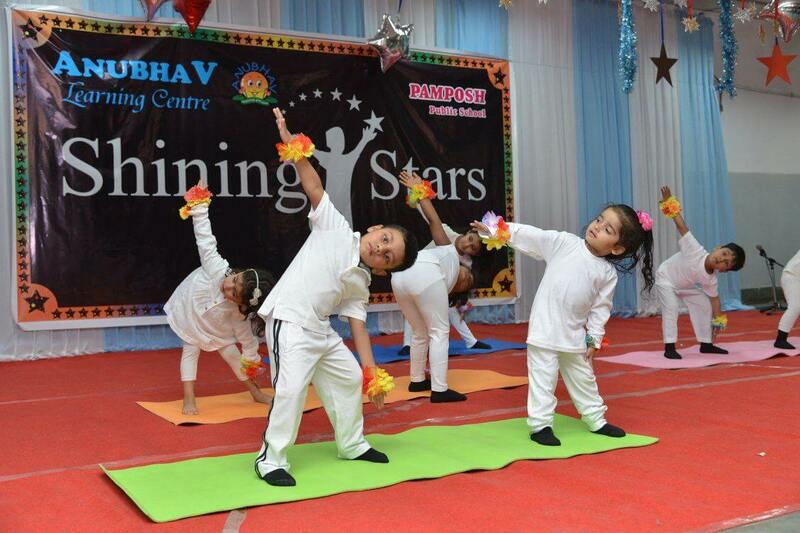 The spiritual, physical, and mental workout is an integral part of the daily routine at Anubhav Playschool. 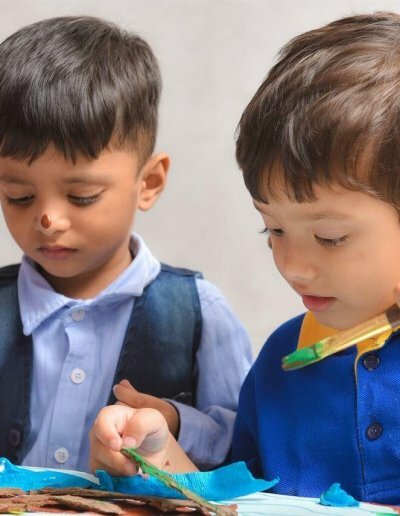 Value creating education is the key to building strong, self reliant, free thinking, happy and compassionate individuals. 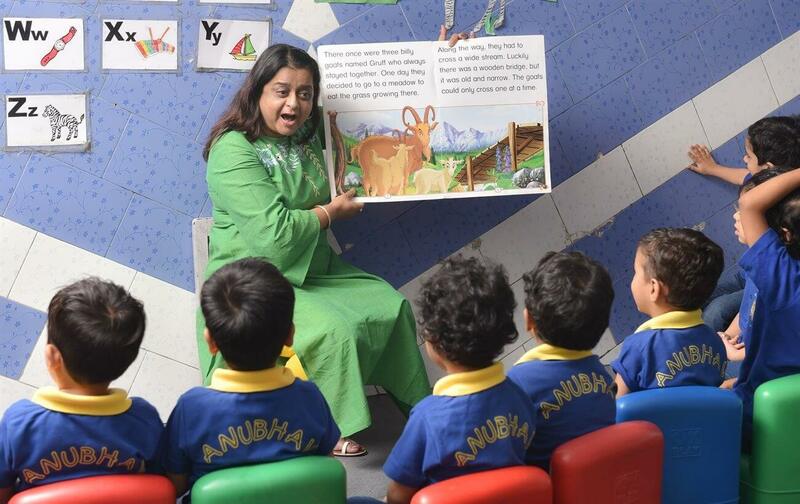 Anubhav is a Playschool that is simple, non-fancy, yet grounded in values and raises responsible and capable citizens for the 21st century. 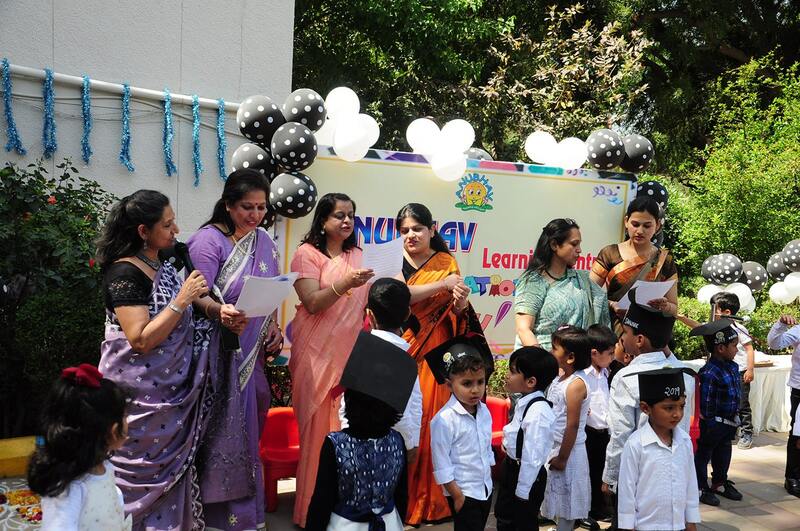 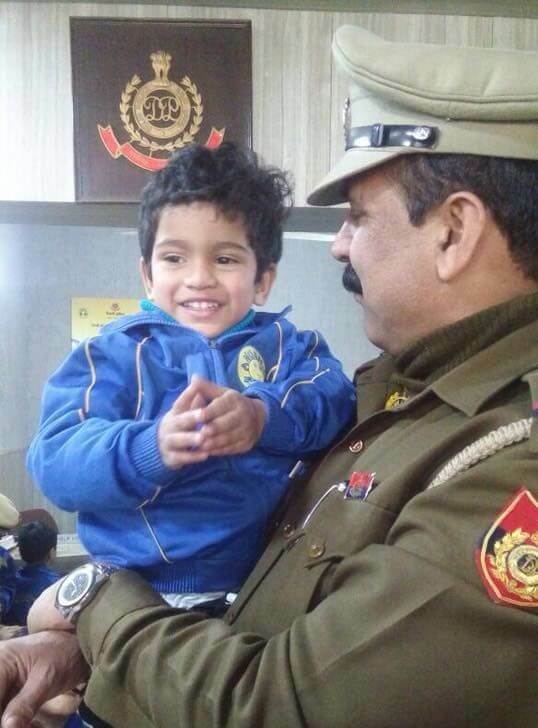 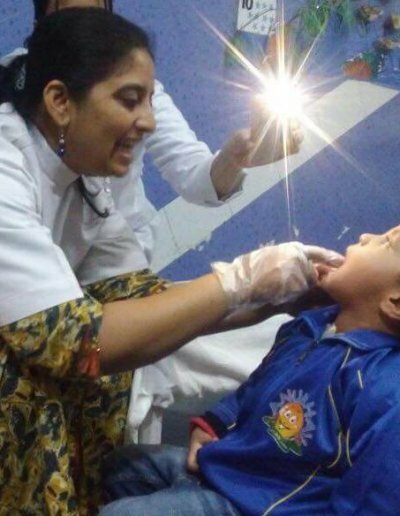 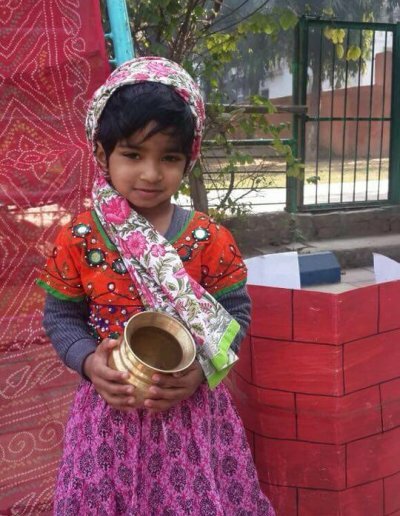 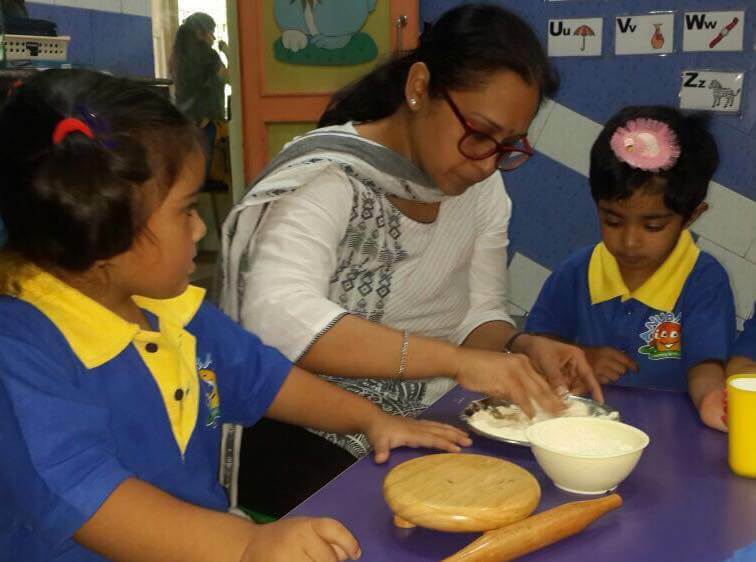 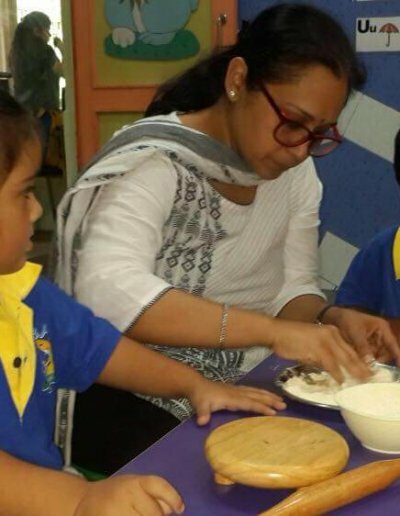 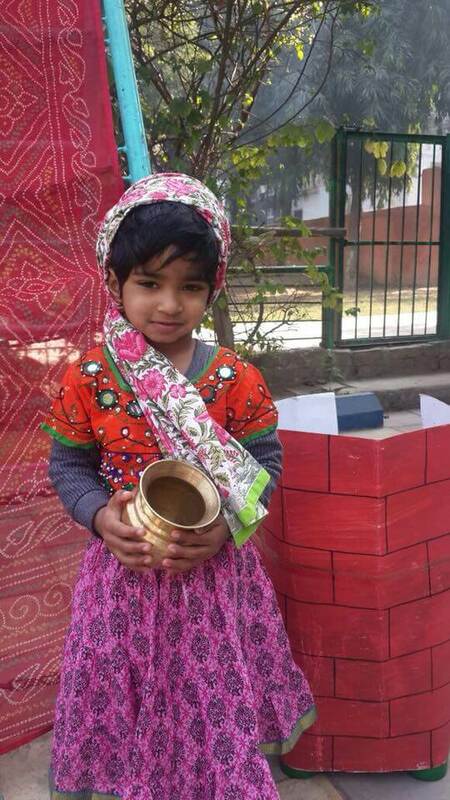 Through their own actions, the educators work diligently to inculcate in children VALUE…..